In 1943, Harold “Shot” Jackson began playing the steel guitar on the Grand Ole Opry with such legends as Johnny and Jack and the Queen of Country Music, Kitty Wells. He eventually landed his dream job, playing dobro with Roy Acuff (the King of Country Music.) In addition to touring, he was a recording artist and producer and played with Roy Clark and the Clark Family on the popular “Hee-Haw” television series. In the early 1950′s, Shot began installing string pullers with pedals on Fenders, Rickenbackers, and other steel guitars. 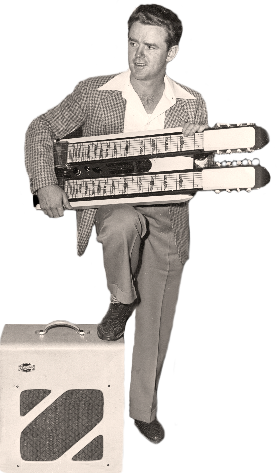 In 1955 he and Buddy Emmons joined forces and started ”Sho-Bud”, the first manufacturer of pedal steel guitars. Buddy would go on to build his own line of steels, while Shot’s creations at Sho-Bud continued, now with sons Harry and David at his side. In the late 60′s, David developed and patented a new pedal actuated pitch changing device that would become the most replicated string-pulling mechanism in the guitar industry. David operated Music City Manufacturing Company, which is where the majority of Sho-Bud steel guitars were built from 1970 to 1981. His son William worked at the factory throughout his teenage years, apprenticing not only under his father, uncle and grandfather, but also alongside Yasu Kamiya, Paul Franklin, AJ Nelson, Duane Marrs and other notable guitar builders and artists. 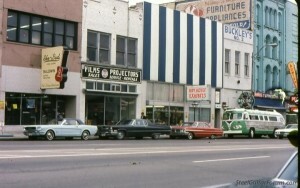 Harry and Shot occupied the upper floor of the Sho-Bud shop at 416 Broadway, Harry building the custom steels while Shot worked repairs and new designs on acoustics and dobros. He started his own line of resonators called the “Sho-Bro”. 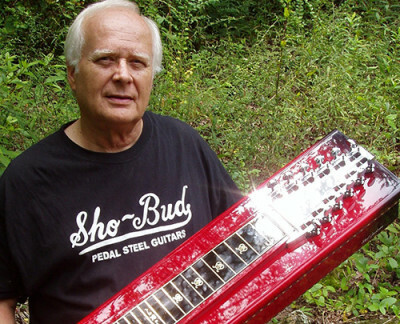 The Sho-Bud pedal steel helped shape the sound of country music from its infancy with its unique tone and pitch changing characteristics, helping to carve out that “Nashville Sound”. The instrument also added interesting musical textures to rock, gospel, pop and jazz, used by acts such as the Beach Boys, Yes, Poco, the Eagles, many Sacred Steel artists and others. In addition to steel guitars, the company produced amplifiers, flat-top guitars, dobros and banjos. 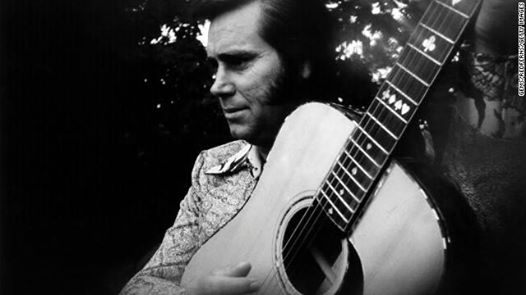 Shot built flat-tops for music legends such as George Jones, Ernest Tubb, and Roy Clark, in addition to customizing various guitars for The Opry Stars. 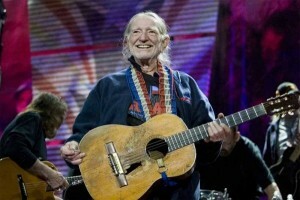 Willie Nelson still plays “Trigger”, the classic Martin N-20 Shot installed an electric pick-up on in his early years. On Saturday nights, Opry stars would make their way through the back door of the Ryman Auditorium, across the alley and into the back door of Sho-Bud to share stories from their weekly travels. This tradition continued until 1981, when Sho-Bud was sold to Baldwin. In 1983, Shot Jackson suffered a major stroke, only two months after selling his guitar repair business. He never fully recovered his speech nor his ability to play an instrument. 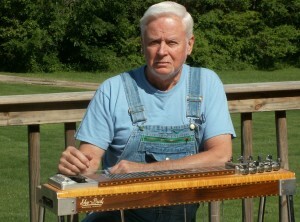 In 1986, he was inducted into the Steel Guitar Hall of Fame. He suffered another stroke in 1990 and died in 1991. David and Harry took a break from the guitar business. Twenty years later they returned with fresh ideas, joined by David’s daughter Dawn Jackson (singer/songwriter and founder of Sho-Bud Music), under the new name Jackson Steel Guitar Company. Since 2006, the company has acquired six patents relating to pitch changers. They have released nine models of pedal steel guitars under the Jackson Steel name, including the BlackJack (retired), BlackJack Custom, Xtreme (retired), Ultra Lite (retired), Standard (retired), Madison ’63 (retired), Pro IV, Shot Jackson and the SlideKing Classic. In addition to the classic pedal steel design, they have released the SlideKing line which includes lap steels, resonators, slide guitars and bass guitars with foot pedals and/or on-board pitch changers. They are also now promoting their Pro-Bender pitch changing components, available for Telecasters, resonators and banjos. They plan to release the Pro-Bender for Stratocasters soon. Together, the Jackson family has taken the original Sho-Bud pedal steel guitar to a higher level of excellence in sound, mechanics and beauty. They continue to forge instruments and string pulling components that enable musicians around the world to create fresh sounds and achieve unique bends. Building on innovative design ideas and nearly sixty years of experience the Jackson’s core focus is to render The Ultimate Sound.